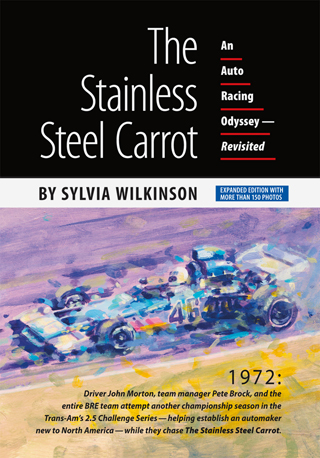 In this Revisited Edition of the classic motor racing book, author Sylvia Wilkinson has added a new 45-page chapter catching up with many of the people who made the BRE team successful and the book so compelling, including John Morton, the team’s number one driver, who went on to race professionally for now close to 40 years. 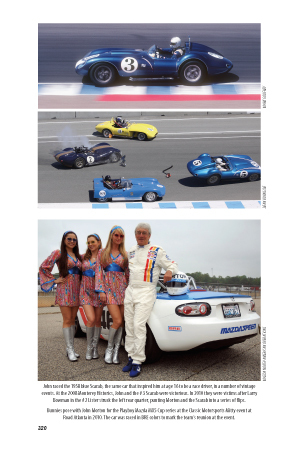 This new 368 page edition includes 32 gloss pages and more than 150 photos  many in color. Numerous photographers have contributed to cover the subject well, though the author and publisher would especially like to thank Stan Sholik for his contribution of photos capturing the BRE team of the early 70’s and the career of John Morton for ensuing years. “Wow! What a fantastic, fascinating read! 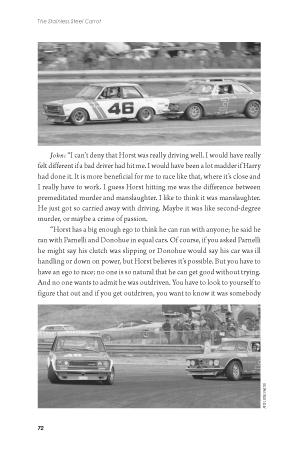 The Stainless Steel Carrot, a chronicle of John Morton’s days as an up-and-coming racer in 1971 and 1972, tells not just Morton’s story, but the story of all race car drivers: talent, ambition, perseverance, luck, and a little bit of rain can change the course of history for anyone. 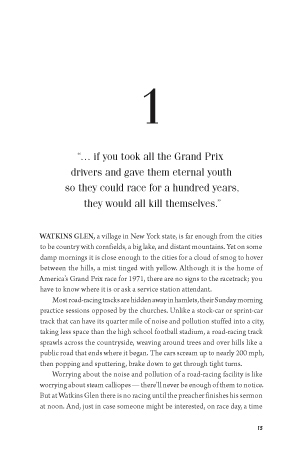 Sylvia Wilkinson’s brilliant book is as relevant now as it was when it was first published in 1973, and it should be read by aspiring racers as well as all readers who love a captivating story.” Garth Stein, Author, The Art of Racing in the Rain. Royalties from the sale of this book will go to animal and environment groups, and wildlife funds. The author, and the publisher, are greatfull to the photographers and other contributors who made this quality book possible. 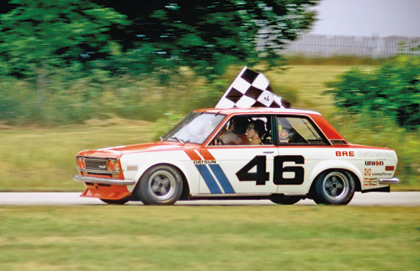 1972: Driver John Morton, team manager Pete Brock, and the entire BRE team attempt another championship season in the Trans-Am’s 2.5 Challenge Series  helping establish an automaker new to North America  while they chase The Stainless Steel Carrot. Photo by Tom Schultz. D.E.L.T.A. Rescue, Best Friends, Peregrine Fund, Friends of Torrance Animals, World Wildlife Fund, Defenders of Wildlife, National Wildlife Federation, Ocean Conservancy, Nature Conservancy, National Audubon Society, The Jane Goodall Institute, and the Society for the Prevention of Cruelty to Animals (SPCA) for Monterey County. Mazda hosted both an MX5 cup race & autograph sessions at the 2012 Coronado Speed Festival. 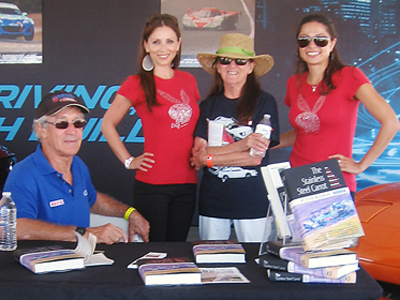 John & Sylvia are pictured with Deanna Brooks & Pilar Lastra at the Coronado Speed Festival. Below the bunnies pose with John after a 2010 race.